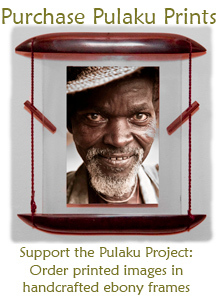 Through this project we sought to share interesting and unusual stories about Fulani culture. 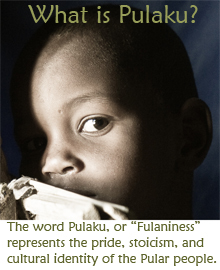 However, in doing so, we risked portraying the Fulani as purely old-fashioned, a culture from a bygone era. While it is true that the Fulani tend to live in rural areas and they suffer lower education and literacy rates than other ethnic groups, there are millions of Fulani living in the large cities of West Africa. 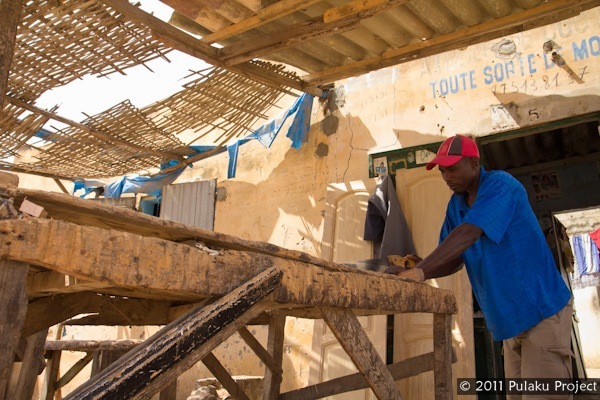 They earn their living as urban professionals: journalists, artisans, musicians, doctors, and politicians. Concluding our project in Senegal, we decided to explore the Dakar in pursuit of urbanized Fulani culture. We were fortunate to be hosted in Dakar by Abou Thiam. 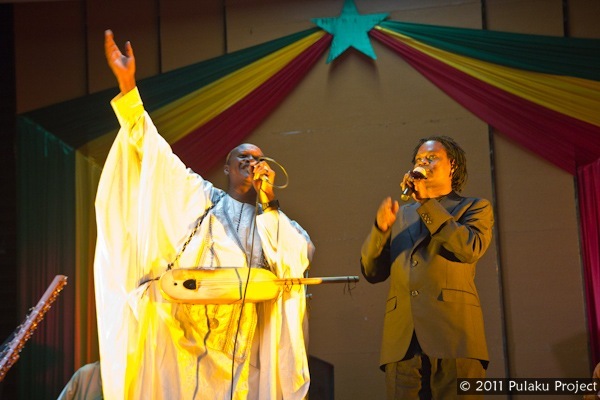 Abou (right) is a well-known Senegalese Fulani musician, performing under the name Ngaari Laaw with his accompanist Amadou Athiel Guéyé. Abou and his family welcomed us into their home, and treated us like royalty as we explored Dakar. Ngaari Laaw is note only a musical group but also a development organization. Ngaari Laaw uses music as a vector to communicate messages about HIV/AIDS, health, and water issues. They organize several annual festivals and songwriting contests to communicate their messages. 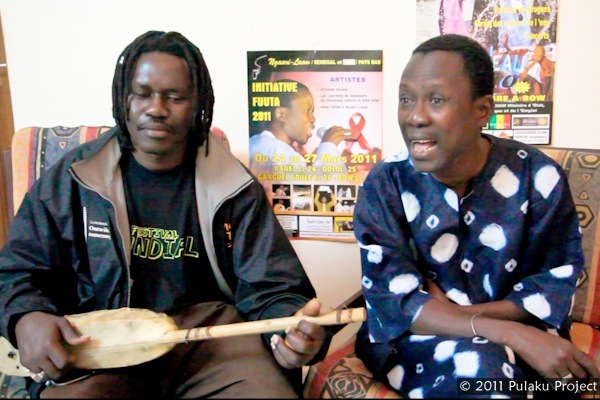 We also had the opportunity to see two other internationally renowned Fulani musicians: Baaba Maal and Malik Pathé Sow. Malik Pathé Sow is a master of traditional Fulani music. Based in Belgium, he tours internationally, singing most of his lyrics in the Pulaar language. Midway through the concert, we were treated to a special guest appearance by Baaba Maal. 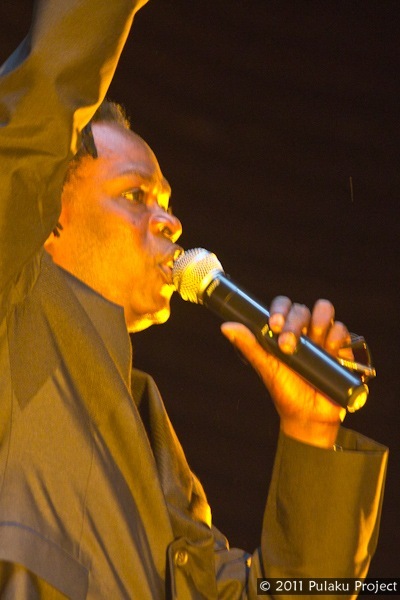 Baaba is a Fulani musician who has made a successful career with his unique afro-pop blend. It was an incredible opportunity to see two of the best Fulani musicians performing together on the same stage. We were invited to present the Pulaku Project on a cultural show for the Senegalese television station, RTS. 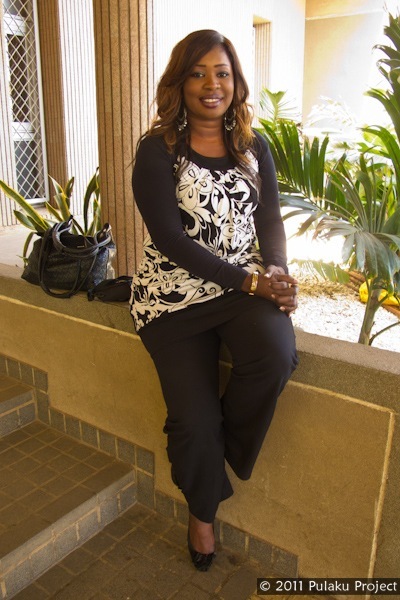 At the television office, we were interviewed by Hawa Diop, a Fulani journalist who hosts an english-language show. We turned the tables and interviewed her for our own clip about urbanized Fulani culture ( see video). Around town, we met dozens of regular folks, working regular jobs, who maintain their Fulani identity despite pressure to adopt the Wolof language of the majority. Mamadou Alpha makes a killer kabob sandwich. 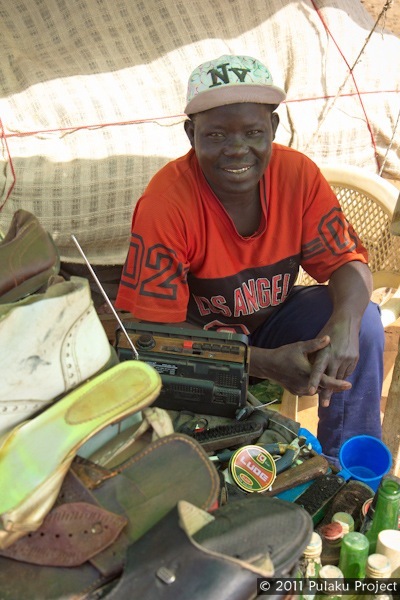 Tidjani Diop runs a shoe-shinning stand on the side of the road in the Guédiawaye neighborhood. Shoe-shinning is a stepping stone job for Fulani who’ve recently arrived from rural areas. They earn a living as shoe shiners before graduating to better-paying gigs. A Fulani carpenter in Guédiawaye. 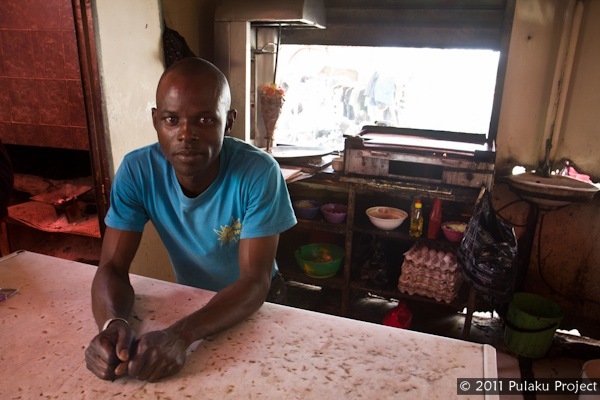 In the neighborhood he’s nicknamed simply “Fulbe”. Some Fulani continue the tradition of selling milk. 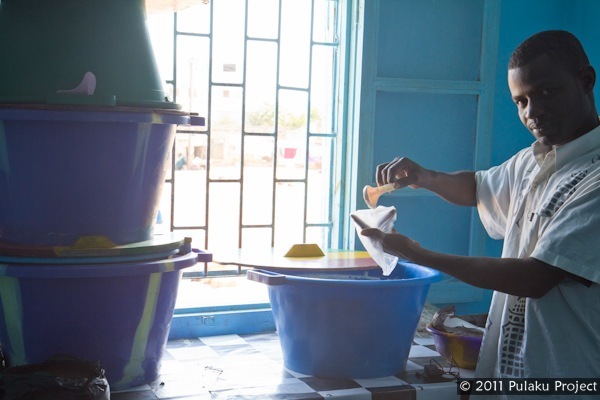 This guy makes yogurt, though uses powdered milk because fresh milk is too expensive in the city. Throughout Dakar, we found the city-going Fulani to be very eager to speak in Pulaar, despite the differences in Guida’s Fulfulde language and the Pulaar spoken here. Looking forward, it’s encouraging to see such sense of cultural identity in the city. Although an urban lifestyle certainly changes many Fulani traditions, artists like Abou Thiam, Baaba Maal, and Malik Pathé Sow keep Fulani culture on the minds and in the ears of urbanized populations. Are there any sources you can offer to lern the Pulaar language? you can add a few words to our dictionary or your translation of alreadye xisting words. are these halpulaaren people from senegal? or pul fouta from guinea or other countries. they look more like other senegalese, wolof, lebou etc. than what ia m used to fulanis looking like, i know fulbe are diverse in some areas they ahve mixed with other population, that lady has Diop as a last name!